TORONTO, Nov. 30, 2018 /CNW/ - Today, Jolie Home makes its debut in Canada with premier paint products expertly designed to make life more beautiful with exceptional versatility, coverage and durability. The boutique paint brand offers beautiful colour options with countless custom colour mixes to help homeowners refresh their furniture and showcase their inner creativity in their spaces. Hoping to inspire Canadians to realize the potential of their own homes and help make spaces even more beautiful, Jolie Home will carry a multitude of colours and products ranging from bold to neutral. "We believe there should always be an easy way to make your life beautiful – everyone deserves a home that infuses beauty, balance and peace into their everyday lives," says, Lisa Rickert, CEO & Creative Director of Jolie Home. Originating in New Orleans, Jolie Home was founded by CEO & Creative Director, Lisa Rickert, along with her husband Scott Rickert and brother Jason Mobley. Jolie Home is more than just a paint brand – it is a dedicated effort to help customers create something beautiful that requires more guidance, more one-on-one instruction, and a range of attractive styles and colours that can deliver well-balanced and "awe-worthy" spaces. Jolie Home is the newest brand in the family's business portfolio. In 2015, Lisa's keen business acumen led her to identify a void in the market for contemporary furniture that incorporated antique elements and detailing. Determined to create a resource for designers and customers who shared her passion for classic design, Lisa launched Ave Home, a boutique furniture company specializing in timeless historical reproductions and original designs. Comprised of three categories, Traditional, Modern, and Raw, AVE has pieces that suit everyone's tastes. 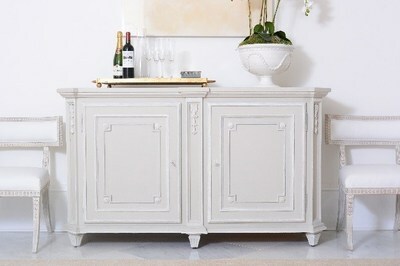 Jolie Home is launching in Canada with product available online at joliehome.com and at select retailers. 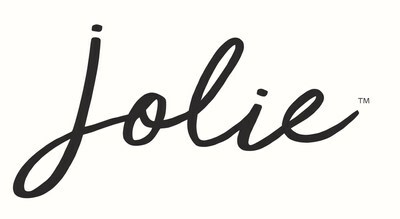 Headquartered in New Orleans, Louisiana and Melbourne, Victoria, Jolie Home is revitalizing the design & DIY markets by delivering a comprehensive suite of products that will help everyday people transform their homes along with exceptional support and personalized assistance for each customer. Jolie Home was founded as a family business by CEO & Creative Director Lisa Rickert alongside her husband, Scott Rickert and her brother, Jason Mobley. The company is launching with 40 colours of Jolie Paint as well as a collection of expertly designed companion products and tools. With Jolie Paint, topcoats, brushes, and embellishment products, customers can achieve countless finishes on furniture, walls, cabinets, floors and accessories.